When Peter Jackson brought part One of his “Lord of the Rings” saga in the theaters, the film was celebrated by audiences worldwide, received several awards and reached 7th place in the list of most successful movies ever. However, many viewers criticized that the film was too short and too hasty despite its 3 hour duration. Also, many fans missed scenes which they already saw in trailers: for example, the gift scene in Lórien. Many rumours mentioned the ominous “PJ Dreamcut” which was delivered to New Line Cinema originally and which was supposedly 4,5 hours long. 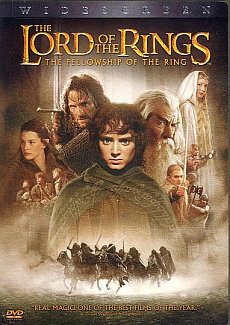 The expectations of the fans were fulfilled when New Line announced an additional, longer cut of “The Fellowship of the Ring” during its theatrical DVD release in August 2002. The Special Extended Version was announced on four DVDs and was supposed to be longer by half an hour. This extended version takes more time for exposition and characterization, especially considering the character of Aragorn. Also, there are some scenes in the SEE which make events from Film Two, “The Two Towers”, more comprehensive: for instance, in the scene where Gandalf mentions Gollum’s real name. Last but not least, PJ reinstated some violent scenes which he removed from the theatrical version for the sake of the PG-13 rating (strangely enough, the SEE is also rated PG-13). In the following comparison only scenes are mentioned which run longer, than in the theatrical version. Some of them are just slightly longer than in the theatrical cut, others are contained only there. The discs used for this comparison are in PAL norm, so they differ from NTSC by 4% faster runtime. The first DVD of the Special Extended Edition of “Fellowship” contains 19 additional scenes and is 12.28 Minutes longer than the theatrical cut. Shortly after Isildur got thrown off his horse, shots of him crawling helplessly on the ground are missing. As the orcs attack his riders, he puts on the ring on his finger. Then he crawls to the river bank, unnoticed. As he reaches water, the ring slides off from his finger and he is discovered by orcs. Two orcs shoot him in the back with arrows. In the theatrical cut, there is only one shot of Isildur drifting dead in the water. This cut contains the entire second chapter “Concerning Hobbits” of the Extended version. Instead of this scene, the Misty Mountains are shown slightly longer in the theatrical version, and after that there is a transition to Frodo in the woods. There is a smooth transition from the Misty Mountains to a map of Middle-Earth. The camera shows Bilbo who is thinking up an introduction to his book, “There and Back Again”. After a short pause he decided to introduce the Hobbits to the future reader. With a slight irony he describes their peaceful minds and their simple, yet happy life. He is obviously amused by the scenes which he is just about to write down. Meanwhile, we see a collage of several hobbits during their everyday lives. After that, in the theatrical version, Frodo is shown slightly longer. Two scenes of party preparations are shown in the theatrical version at a later time. Therefore, they are not counted here. Gandalf and Frodo are driving to the village. As they talk about Bilbo’s party, an additional commentary by Frodo is missing from the theatrical version: “And the rest of them are turning up anyway.“ The dialogue also happens later in the theatrical version. We see once again the confused-looking hobbit who was cleaning his ears before. Also, the next shot with the two friends coming around the corner starts some frames earlier. Gandalf and Frodo are traveling through the Shire. There are two intercuts with Bilbo busy with his Middle-Earth maps. After putting them away he becomes anxious and starts to search hastily in his pockets and on his neck. He is missing his ring. He becomes angry, until the ring eventually turns up in his vest pocket. He clenches it, both desperately and happily. Back to Frodo and Gandalf. Frodo and Gandalf sit slightly longer on the carriage. After Frodo jumps from the carriage, Gandalf is shown slightly longer. Bilbo complains about his greedy relatives slightly longer. On the party, Bilbo talks to Mrs. Bracegirdle and makes jokes about the lot of her kids who, of course, accompany her to the party. Then he discovers his most terrible relatives: the Sackville-Bagginses, and hides from them together with Frodo. As they move along, Bilbo confesses to his nephew that he adopted him not because of mercy, but because he thinks that he has found a worthy heir. Frodo, Sam and the two other hobbits are sitting in a pub. Some elderly hobbits are talking about strange creatures wandering through the Shire. They suppose that a war is coming, but think that they will be spared if they keep out of it. They also talk about the strangeness of Bilbo. The scene of Sam and Frodo leaving the pub is also in the theatrical cut, but shorter. Sam and Frodo rest in the night. They see wood elves who are wandering to the Havens to the West of the White Towers. The gatekeeper of Bree says to Frodo that he figures that the hobbits are from the Shire. Barliman Butterbur talks longer to the hobbits. The hobbits talk slightly longer about if they can trust Strider. The hobbits and Strider struggle through Midgewater Marshes. Merry and Pippin complain about the mosquitos which make their life a misery. In the night, Strider sings a sad elvish song about Lúthien, an Elvish princess who died. Sam is shown longer, standing over Frodo. He tells him about “Mr. Bilbo’s trolls”. Strider and Boromir meet at the broken sword of Isildur. Strider introduces himself as a friend of Gandalf. As they both are here for the same reason, Boromir calls him a friend. However, they don’t look too friendly. The first shot is also contained in the theatrical cut. Boromir stands up and tells that he had a vision of saving the world. He walks towards the Ring. As he reaches for it, Gandalf stands up and talks in the Black Speech of Mordor. The sky gets dark, and Elrond interrupts Gandalf. Gandalf does not apologize because he thinks that this language will soon sound everywhere. Everybody calms down. Boromir is shown slightly longer.